VLR Training provides the cybersecurity training and certification course provide hands-on Online training to help you master the same techniques that hackers use to breach network systems and influence them ethically to protect your own infrastructure. Increased focus on Cloud attack vectors, AI and Machine Learning. A module on the Internet of Things(IOT) Security. Why should you take the Cybersecurity Certification course in short? Global cybersecurity industry is estimated to cross US$ 220 billion by 2021. 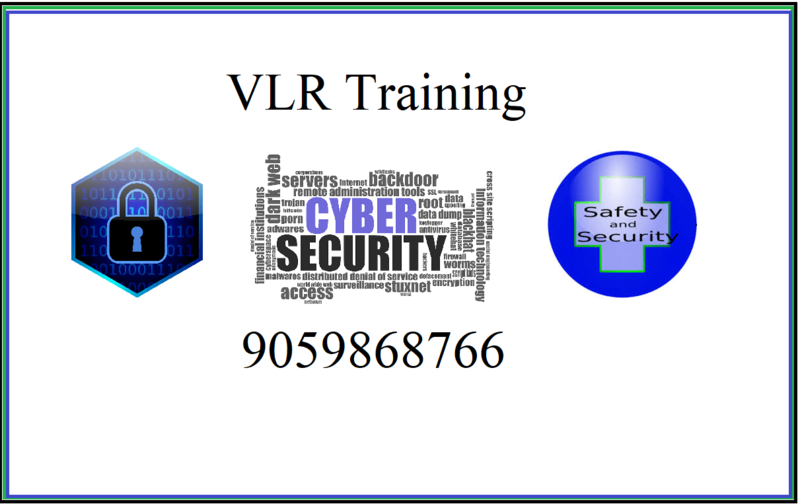 There are no prerequisites for VLR Training Cybersecurity certification course. Basic knowledge of cloud and networking and will be beneficial. What Are The Various Challenges For Cyber Security? This course can be used as guidance for addressing common Cybersecurity problems and presents a framework that permits stakeholders to collaborate on resolving Cybersecurity issues. It Can Protect Your Business. Allows Employees to Work Safely. Stop Your Website from Going Down. Inspire Confidence in Your Customers. IGC is a global and an Independent Certification body with extensive experience in the certification industry, which offers a vendor-neutral comprehensive set of internationally recognized certifications. Our main motto is to provide our clients with comprehensive examination and certification services. What skills will you learn in this cybersecurity training? VLR Training Ethical Hacking Course will increase your knowledge of network, web and mobile app security and we prepare you to identify threats and vulnerabilities. Get a well understanding of IDS, firewalls, honeypots, and wireless hacking. Gain proficiency in advanced concepts such as advanced network packet analysis, securing IIS & Apache web servers, Windows system administration using Powershell, and hacking SQL and Oracle databases. Grasp the step-by-step methodology and strategies that hackers use to penetrate network systems. Cover the latest developments in mobile and web technologies including Andriod, iOS, BlackBerry, more.. and HTML5. IT security officer, auditor or engineer. IS/IT specialist, analyst or manager. Network security officers and practitioners. Network specialist, analyst, manager, architect, consultant or administrator. IT security specialist, analyst, manager, architect or administrator. Certified Ethical Hacker (CEH) certification will improve your ability to assess and examine computer systems security to defend your corporate infrastructure. exam code for CEH certification (version 10) is 312-50 and tests your abilities in using penetration testing tools to estimate computer systems and network security and implementing the special techniques of ethical hacking. The EC-Council Certified Ethical Hacker course proves your advanced security skill-sets to succeed in the worldwide information security domain. Many IT departments have made CEH certification an essential qualification for security-related posts, making it a go-to certification for security specialists. And CEH-certified professionals naturally earn 44 percent more salaries than their non-certified peers. The ethical hacking certification course opens up abundant career advancement opportunities, preparing you for a role as a (CDN)computer network defense analyst, CND infrastructure support, CND incident responder, CND auditor, intrusion analyst, forensic analyst, security manager, and other related high-profile roles. In conclusion ending of the cybersecurity training, Under the training record session of the classes as well as trainer support at any time in training duration.